Hello all! I’ve seen that many people have been requesting a tutorial on how to make your own skins from scratch and today I’m here to show you how I do it. Now, there’s two ways that you can do this, one is by cloning a reference image onto your skin and then doing some edits. 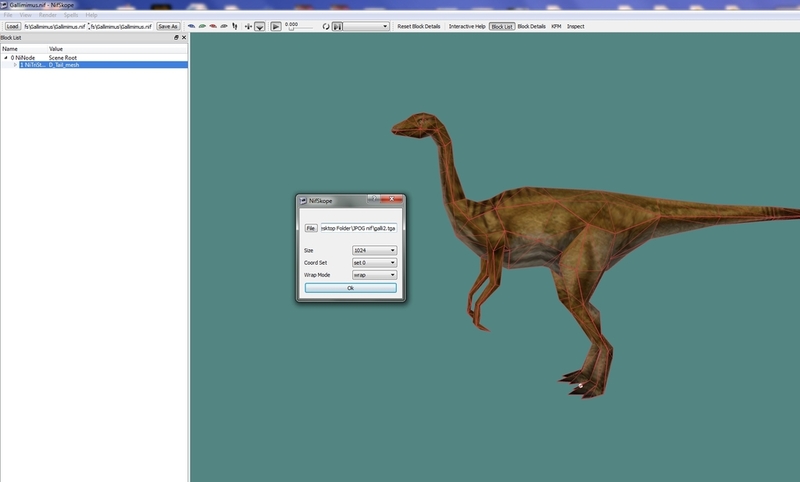 This method is much easier only if you can find a reference image that has everything you want (Good quality texture, nice skin pattern, decent shadows and highlights); however, finding the perfect image can be quite the challenge and unless there’s multiple pictures of different angles of the same dinosaur, trying to blend two different images together on one skin and making the transition seamless is very hard. 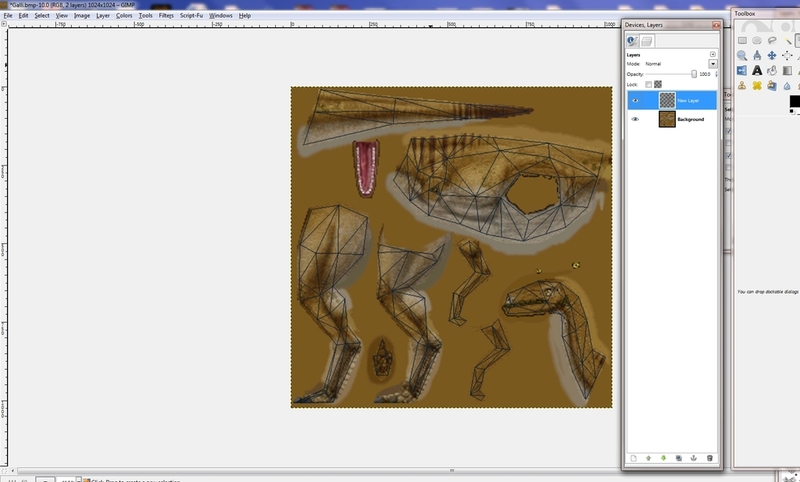 Since there is no standard of what dinosaurs really look like, interpretations will be vastly different. For example, if you’re trying to skin a lion using multiple reference pictures is very useful because while individual lions will have some differences they will essentially be the same and thus will blend together. 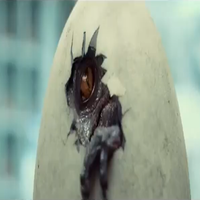 This is not the case with dinosaurs. Gimp – You can probably use any version you want since the tools will be the same. Gimp is a free alternative to Photoshop and can produce similar caliber results. While you can certainly use Photoshop , the name of the tools will be different so keep that in mind if you do plan on using it. 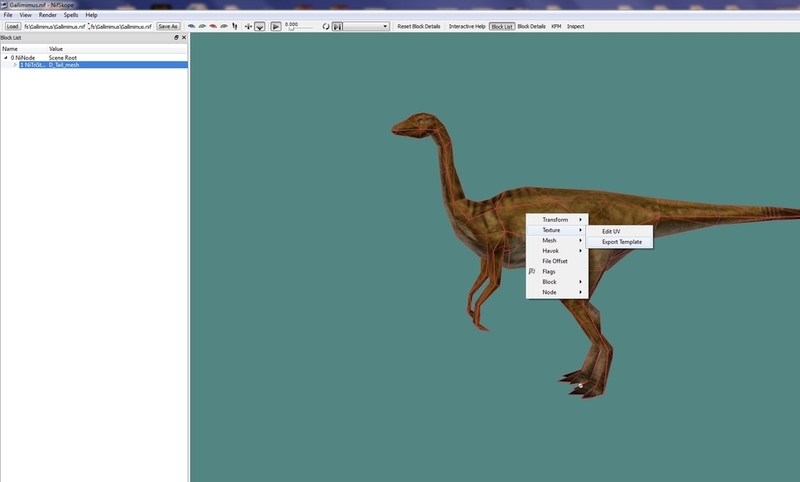 Nifskope- This is so you can view your skin on a 3D model. Instead of going into JPOG to check certain details like joint seams, you can check them here. 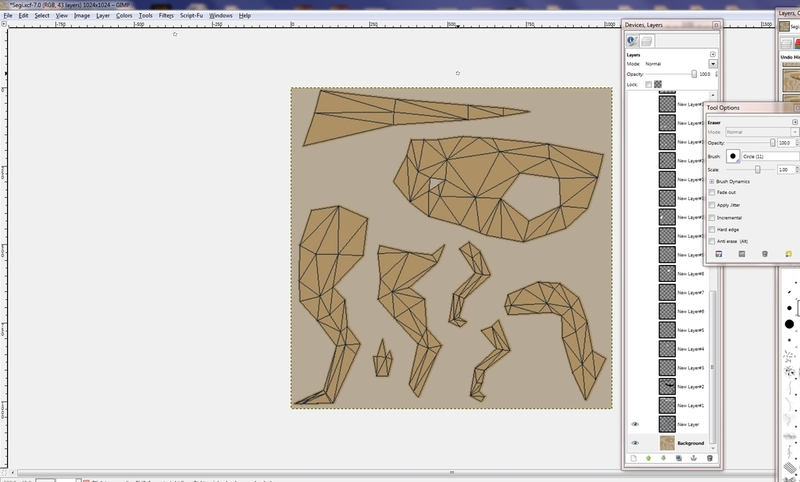 Also this program is important for getting a wire frame template which is what we’ll use as a reference when drawing in certain shadows and highlights. FRAPS – You technically don’t need this but if you want to take pictures of your skins once they’re in game you’ll need something that can take screenshots; FRAPS does this well. 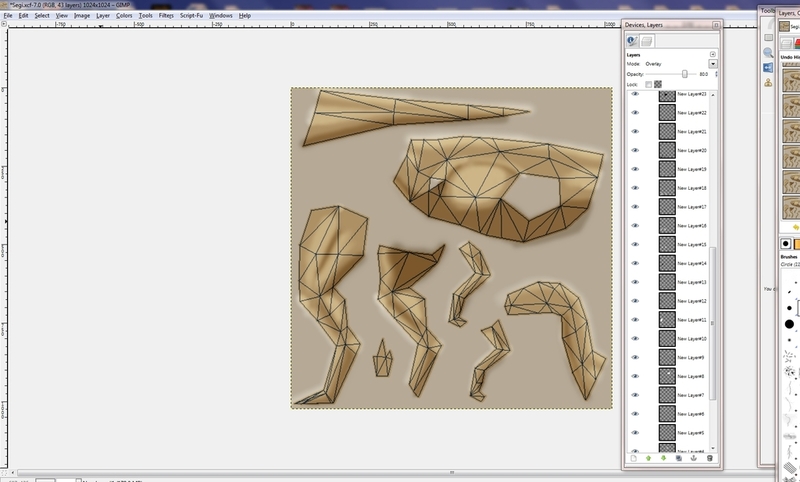 Once you export the wire frame, open it with GIMP (it should save as a tga file.) Once you open it, it will be the wire outline of the model on top of a white background. To fix this, go to the Select by Color tool and just click on the white area. Because it is an even white it will select it all. Remember you should use the lines in the wire frame as a guide to where certain muscles and joints should stick out. It should be somewhat obvious but if it’s not check the original skin in nifskope and see what part of the body certain lines cross to judge where say the thigh muscle should be drawn in. 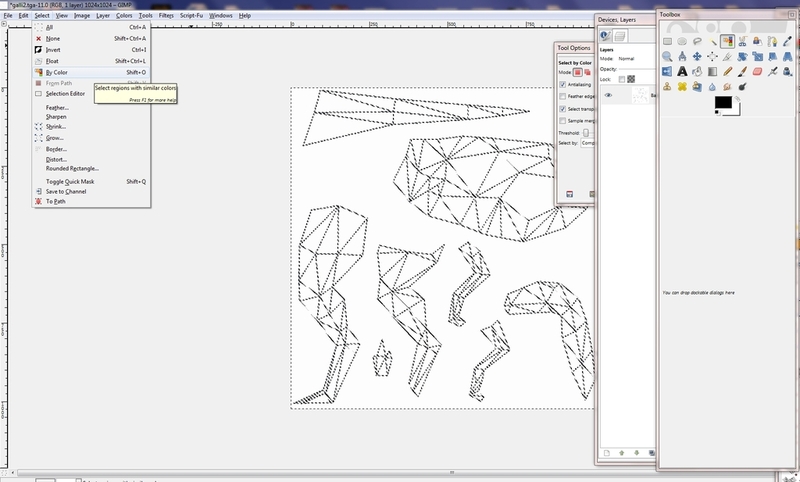 Also, in this skin I didn’t draw in the skull myself and instead opted to go with a reference image for just the head. This will only work if you can blend the reference image with the finished skin, so for this reason I leave the skull until after my texture is finished. Now we’re moving on to texturing; this process will not require the wire frame and at this point I like to leave it invisible, but you can leave it on if you’re more comfortable with it. Texturing can be a bit tricky, in this skin I only use three so you can create a great skin with just a few textures if you work with them correctly. You can use a lot of textures together but I’ve learned that using too many tends to create a mishmash of texture that winds up becoming too complicated to distinguish the numerous textures you used. 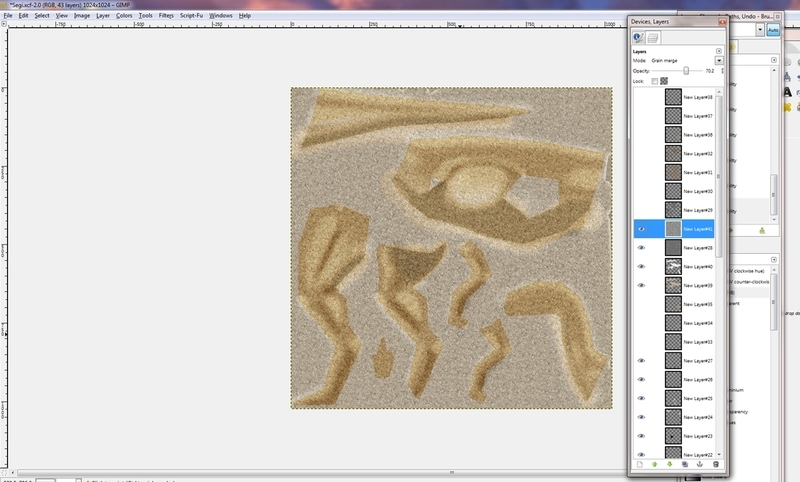 For textures, the most important thing is to get quality reference images. You can either use textures from the internet or just clone textures from various source pictures but in this case bigger is better. The larger the picture is, the better the texture will keep its quality when you shrink it. 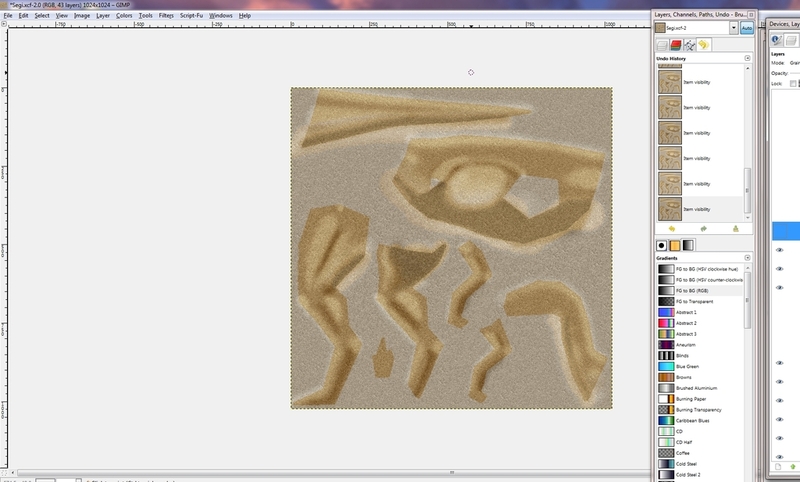 You’ll want to come up with a simple base texture first. I find leather textures work nicely for this but you can definitely experiment; in fact I encourage you to experiment with different textures! And now you have your skin made from scratch! 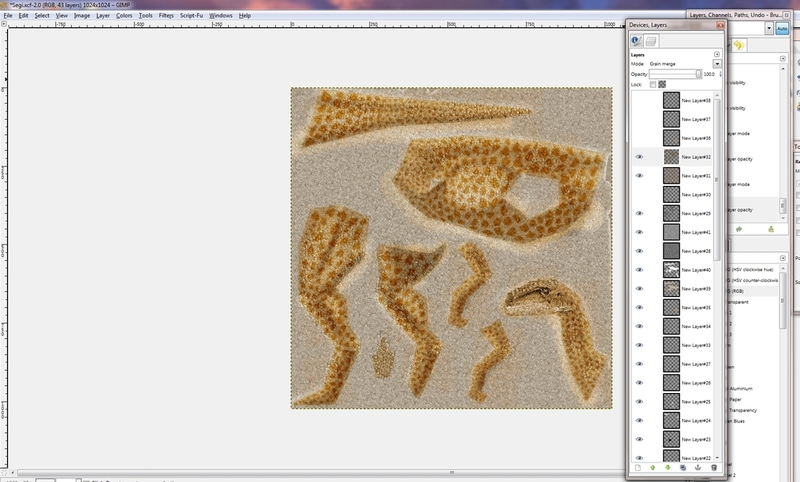 You can save it as a dds to check it in nifskope and see how it looks on a JPOG model. Remember to save the skin in a xcf format first, this will save each layer instead of merging them and if helpful if you don’t have enough time to do it all in one day. Save another copy as a jpg and then save that as a dds file. This guide will not cover how to put your skin into the game; however my hope is that this guide helps with people who are unfamiliar with the actual process of skinning. If you have any questions please feel free to ask! Happy skinning . Hey Megaspino, can you please re explain the part where you choose the colors. That part is kind of confusing for me. Which color? The general color or the actual color details and patterns? Well, I know this is a very old post, but is there anyway to get Tamara's Nif's because mod genesis' page is shut down. Thanks in advance! » Where to start? Building a Shortwave from scratch?? ?